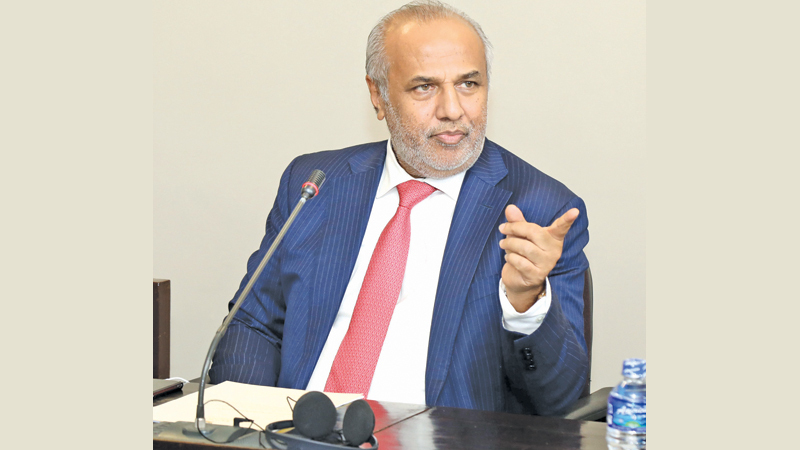 The Orugodawatte - Kaduwela water supply project is to be expedited on the instructions of SLMC Leader, City Planning, Water Supply and Higher Education Minister Rauff Hakeem. The decision to accelerate the progress of the project was taken at a meeting at the Minister’s office in the Parliament complex, with officials from the concerned departments, recently. Under the Orugodawatte - Kaduwela project, some 1500,000 consumers will be benefitted through 245,000 water supply connections. This project, started in 2018, is expected to be completed in 2020 and would continue to serve people for several decades. On completion, the supply line could cater to the increasing demand of customers in the projected areas. The participants of the meeting also identified the snags in the ongoing construction of pipelines from Ambatale to Orugodawatte and decided to expedite the delayed process of the laying of pipes, with the cooperation of the Chairman of the Road Development Authority. The project is funded by the Bank of Australia, Bank of Ceylon and the Sri Lankan government. The meeting was attended by Additional Secretary, City Planning, Water Supply and Higher Education Ministry, Eng. L. Mangalika, Water Supply and Drainage Board Chairman Eng. K.A. Ansar, General Manager Eng. Deepthi Sumanasekera, Road Development Authority Chairman Nihal Sooriyarchchi and other senior officials.